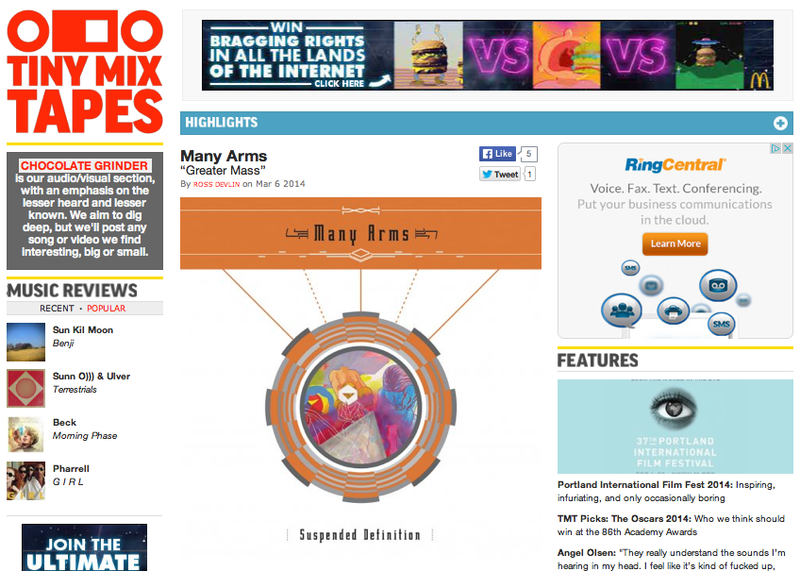 Many Arms: Suspended Definition Track Premiere on Tiny Mix Tapes! Suspended Definition Track Premiere on Tiny Mix Tapes! "Greater Mass," from our new album, Suspended Definition, is up streaming on Tiny Mix Tapes!